Ever been put on the spot? Been asked a question but couldn’t find the answer? It happens to me all the time (you wouldn’t want me on your pub quiz team…). But the time I remember most took place in Belgium. After a long silence, I think I mumbled something about taking an inclusive approach and listening. But, with a bit more time to reflect, it struck me just how much our constitutional arrangements, particularly around devolution, impact on everything we do. Even in areas that remain ‘reserved’ to the UK Government, like foreign policy. This is something the small Devolution Unit we have in FCO works to convey. 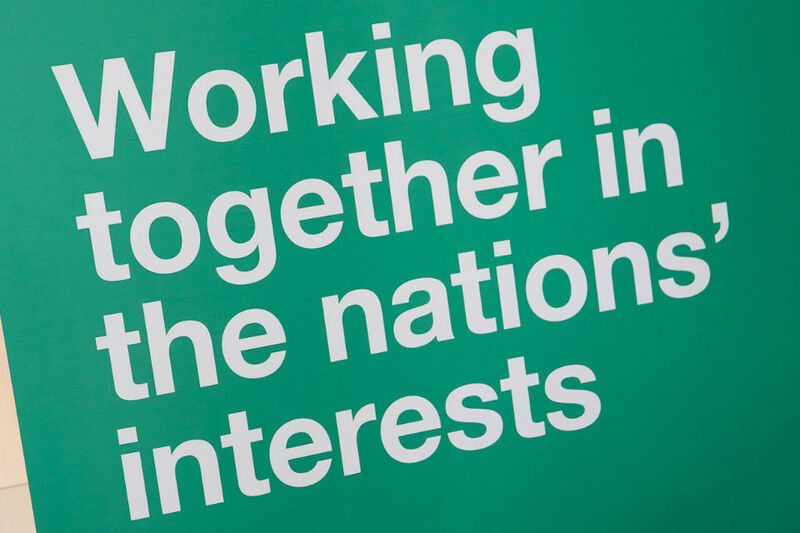 Firstly, through some things that may seem obvious – such as being clear that our 200-plus posts represent the whole of the UK: whether by celebrating the diversity of the UK, including all of the national days we have, using the international weight of the UK to help secure inward investment to all parts of the UK, or supporting ministers from the Devolved Administrations when they visit overseas. But we go further – for instance, by supporting interchange with the devolved administrations, including having DA representatives on the FCO platform in places like Beijing, Washington and Brussels. Much of the work we do overseas, including in Brussels, comes after policy has been formed at home. And, generally, we do that best when we’re able to say that our policies reflect the diverse range of voices we have in the UK. That won’t always be possible (see the dictionary definition of diversity) but, usually, when we explain the processes we have to formulate policy, agree negotiating positions and resolve disputes, overseas audiences are pretty impressed. Some are even jealous. 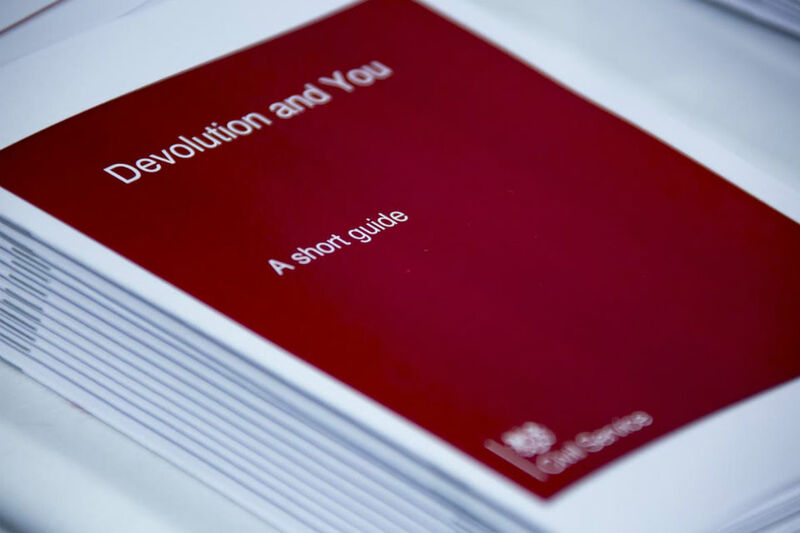 The UK’s asymmetrical and evolving devolution settlement can, at times, feel hard to navigate, but it’s bang up to date, there’s plenty of guidance available, and some kind of devolution is very much the global norm. I’ve been posted in Belgium and will shortly be posted to Spain – both countries that are working to balance a strong external voice with complex internal arrangements. The fact is that, in a constantly changing world, it’s how a country turns its diversity to its advantage that counts. Before joining FCO, I spent over three years at the Wales Office, one of the three Territorial Offices. They’re perhaps one of the best places to see how the UK really works and get an overview of the extent to which devolution is part of the context in which we operate – including at the FCO. And if it’s true at the FCO, just how significant might it be in your department and to your work? 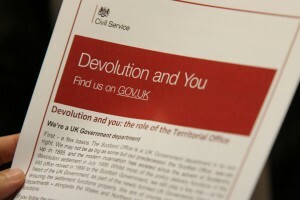 Find out more on devolution by visiting Devolution and You. There’s a learning campaign for the Civil Service and new interchange arrangements are in place.